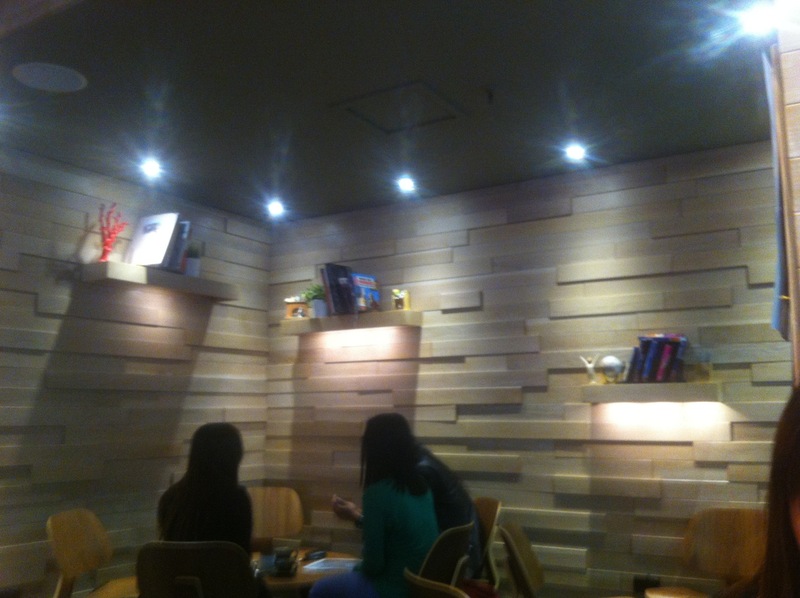 Cacao Green on Bourke Street is such a cute, humble place! The restaurant is decorated with pretty flower pots and little book shelves, making the customers feel relaxed and cosy 🙂 Service was average but the worker was happy to let me try some froyo when I asked her! 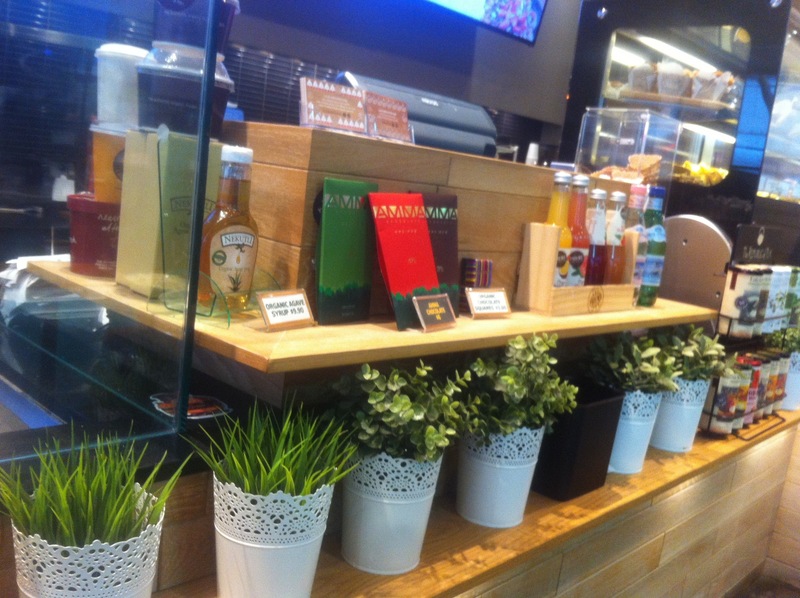 Menu is pretty extensive with a wide range of flavours and toppings. N said she enjoyed her froyo but she found the macadamia nuts too sweet that it was overpowering everything else. 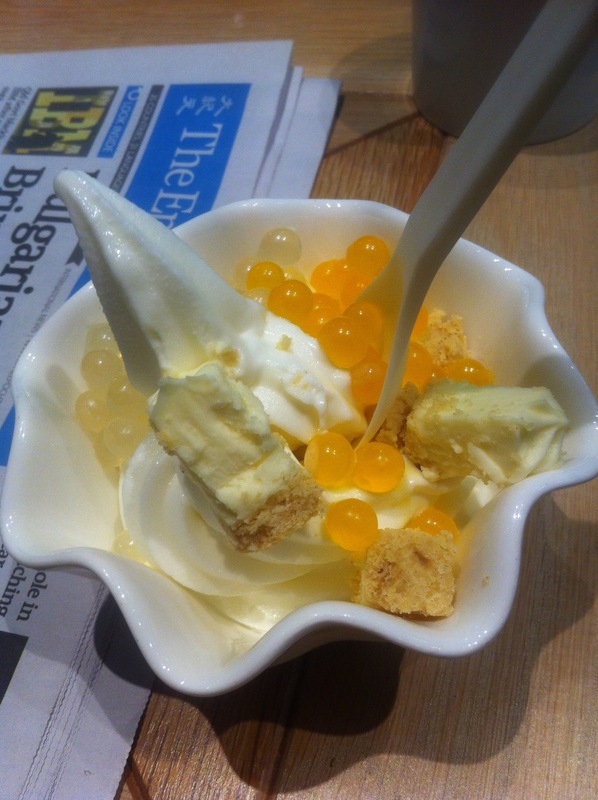 Junior Frozen Yogurt/Froyo ($7.10) – original froyo junior sized with toppings (cheesecake, passionfruit popping pearls and lychee popping pearls). If you know me personally you’d also know how fond I am of froyo so I guess I am a bit biased whenever I review it. Cacao Green makes great froyo if you like it tangy. For me, I prefer a creamier texture. 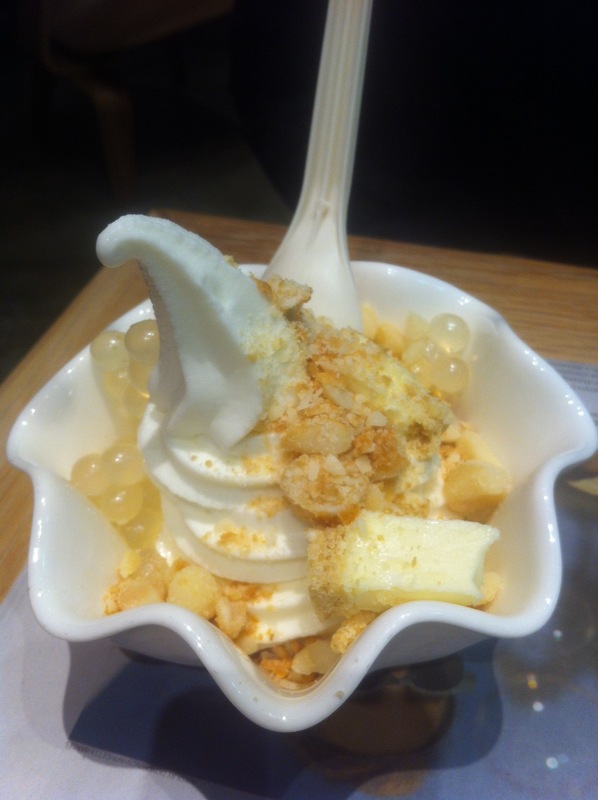 The toppings were great; popping pearls are always a winner, and the cheesecake was smooth and light. The crumb of the cheesecake was a bit flakey and tasted like oats to me though.